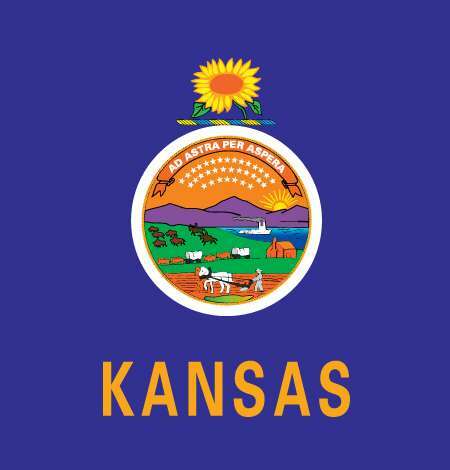 Less than a week after the underground poker scene in the US heartland state of Kansas took a public hit with the plea deal on illegal-gambling charges for a Wichita-area game organizer, more charges connected to the game have emerged. And this time, two Wichita police officers — one current and one former — face charges in connection with the case. Also, a third law enforcement officer, a retired Kansas Highway Patrol trooper, was charged separately with making false statements to the FBI in connection with the games. On Thursday, the United States Attorney’s Office for the District of Kansas announced charges of obstructing a criminal investigation against Michael Zajkowski, 50, of Wichita, and Bruce Mackey, 45, from the nearby suburb of Goddard. Zajkowski is a former Wichita police officer, while Mackey still is one, according to the USAO presser. A third man was also charged in connection with the alleged obstruction, this being Brock Wedman, 48, of St. Marys, Kansas. Wedman was one of the floating game’s organizers, and he “began to suspect” there was an undercover police office present in what would otherwise be termed your everyday down-low cop game. This being Bible-thumpin’ Kansas, even the private cop games get busted on occasion. Here, game organizer Wedman went out to the driveway of the house hosting the game, noted the suspicious car’s license-plate and VIN numbers, and then prevailed upon known Wichita cops Mackey and Zajkowski to, essentially, run the plates. “Zajkowski and Mackey made calls and sent texts, trying to use police resources to find out who owned the car,” the U.S. Attorney’s Office statement said. When the car was eventually identified as being owed by the City of Wichita, and as being employed in undercover use, Wedman and the game’s other organizers relocated the game to another venue. But it was too late: the undercover officer already had recorded some surreptitious video of the poker game in action on his cell phone. Combined with the game’s relocation — to which the undercover officer was disinvited — it also likely triggered a review of city and state search records to determine if the undercover car’s plates had been run. Game organizer Wedman was indicted on charges of running an illegal gambling operation and of lying to FBI investigators. The charges against all three men carry penalties of up to five years in prison and as much as a $250,000 fine. The video also showed room employee Daven Flax, who pled guilty earlier this week, serving as a runner and cashier during the game. 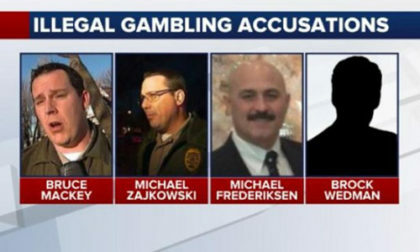 According to the USAO presser, “During the FBI interview, Fredericksen made false statements, downplaying his involvement in illegal poker and his relationship with the operator of the poker game.” Frederiksen faces the same five-years / $250,000-fine maximum on each of the two counts.